We are proud to announce that this #GivingTuesday we surpassed last year’s donations by over a thousand dollars! STRYKE is truly thankful for all the donations and thoughts given to our non-profit organization. With the money donated to us we will be able to expand and grow as an organization as we have already done in the last few years. Now that #GivingTuesday has passed, there are still more ways to help and support STRYKE! Whether you would like to help volunteer for events at STRYKE, donate to our cause, or partner with us – you, the people that support STRYKE, are the reason why we can keep going as a strong organization. Our next special event is Jingle Jam, a STRYKE celebration! This will be a special evening where all four STRYKE ensembles come together to celebrate the holidays with Friends and Family. Jingle Jam will be a beneficial concert, and all proceeds will be a donation to our cause as a non-profit organization! Tickets will be $10 for adults, $5 for students, and children 10 and under are free. Join us this year at our first Jingle Jam and come out to have some holiday fun! From the time your Thanksgiving feast ends, the span of days consisting of Black Friday and Cyber Monday seem to take over. Instantly your time is focused on splurging, spending, and shopping.  Instead of the hundreds or thousands of dollars spent on the hottest deals and newest products to hit the market this season, imagine that money being given to a greater cause. What if we told you that there was a specific day dedicated to this? Four weeks from now, it will be Giving Tuesday. This day follows just after Cyber Monday and exists to encourage and amplify small acts of kindness. #GivingTuesday holds the potential to show real change in communities and for organizations through social media. The best part is, you don’t have to be a billionaire or world leader to give back. #GivingTuesday is about ordinary people coming together to do extraordinary things. This Fall, STRYKE is participating in #GivingTuesday again and we want to invite you to join us in giving to the community this holiday season. To learn more about Giving Tuesday, visit www.givingtuesday.org! STRYKE is pleased to announce our 2017 Winterguard Staff. In addition to our Staff announcement, we are also excited to announce the Winterguard will be performing in WGI Open Class Competition this season! Register today, and join us this Sunday (October 2nd) for our 2nd Audition/Clinic. 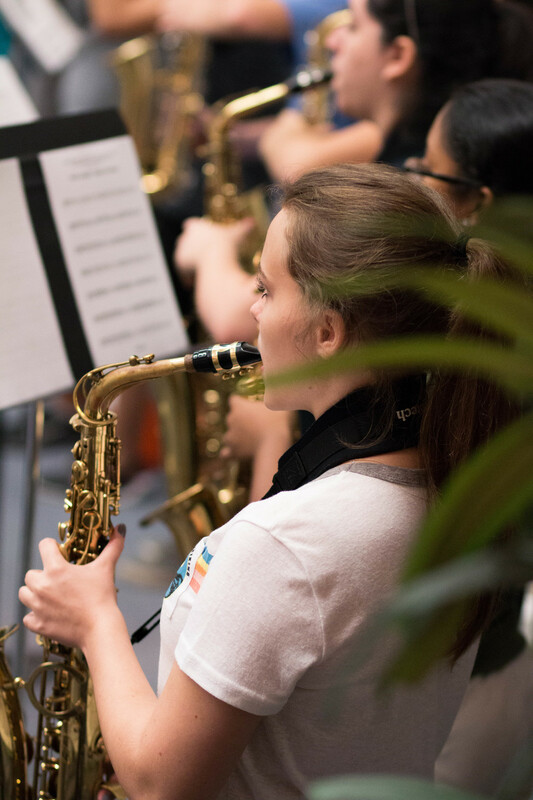 A great opportunity for ALL ages and skill levels, whether you're auditioning for a position or just wanting to learn something new, the STRYKE Audition/Clinic has something for everyone. Nicole Darby Ramirez began her color guard career as a four-year member of the Cooper City High School Color Guard. In two of the years spent with Cooper City, Nicole performed in WGI finals in both scholastic A and Open class. Nicole then marched with the Colts Drum and Bugle Corps in 1997 where she was a DCI finalist. She then went off to march with the Alliance of Miami in (2000-2001) where she was a WGI World Class finalist for both years. Nicole later marched with the Cadets Drum and Bugle Corps in 2002 where she received a bronze medal and finally, she marched with Braddock Independent in 2003 where she received a silver medal in Independent Open Class. Nicole was the Color Guard Director of Wellington High School from 1999-2002, and worked with many local programs such as Lake Worth High School, Palm Beach Gardens High School, Dwyer High School, and Royal Palm Beach High School. Nichole taught at Cypress Bay High School from 2002-2007and has been teaching at Park Vista High School since 2008. Nicole became the Director of the Park Vista Color Guard in 2012- present. This will be her second year returning as Co-Director of the STRYKE Winterguard. Aside of her job as a color guard director Nicole works as a registered nurse in labor and delivery and is a proud mommy of two beautiful babies. Paul Sauberer is a veteran of the pageantry arts activity, and has been involved in the marching band and color guard scene for over 10 years. He has been an integral component in the success of many band programs. Designing flags, costumes, props, winter guard and percussion floors, soundtracks – anything you can think of. Paul is currently on the color guard staff and design team of 2014 Class 5A State Champions, and BOA Super Regional Finalist Park Vista High School in Lake Worth, Florida. Paul has designed and taught for programs such as Park Vista HS (Lake Worth, FL), Jupiter HS (Jupiter, FL), Castle HS (Newburgh, IN), East View HS (Apple Valley, MN) and many other programs around the country. Paul is actively involved in the South Florida Winter Guard Association circuit, along with WGI. With his experience in flag, costume, and set design, he elevates the visual and emotional aspect of each show he is a part of, breaking down the wall between performing members and the audience. Paul’s creative mind and his expertise in capturing those special “moments” make him a vital part of any program. This will be Paul’s second year serving as Co-Director of the STRYKE Winterguard. Michelle Hance has been an active member of color guard world since 2001. She began her career spinning with the Logger’s Run Middle School Color Guard. Michelle then spent all four years of her high school career spinning with the Park Vista Color Guard where she served as Captain her junior and senior year. After graduating Michelle went on to march with MEDEA Independent (2009-2010) and with the Teal Sound Drum and Bugle Corps (2009) where she was a DCI Open Class Finalist, which helped the Drum Corps transition into World Class. After graduating High School, Michelle was hired on as a color guard tech at Park Vista High School (2008-2009) She then moved up to the Treasure Coast after meeting the love of her life where she took the Color Guard Director position at South Fork High School (2010-2016). Michelle is currently the Color Guard Director at Jensen Beach High School in Jensen Beach, Florida (2011-Current). Michelle is currently working towards a B.S. in Middle Grades Science Education and is expected to graduate in May of 2017. She is happily married to the love of her life Cisco Hance and has two amazing kids. Matthew Winans attended the State University of New York (SUNY) at Brockport in Rochester, NY where he earned two bachelor degrees in Communications and Dance. In 2005 he relocated to Florida to become part of the instructional staff for the Flanagan High School Color Guards. He soon after became a member of the schools faculty as a Social Science teacher. Other performing experiences include: many of the SUNY Brockport dance concerts, the Rochester Patriots Independent World Guard, and the Cadets Drum Corps. 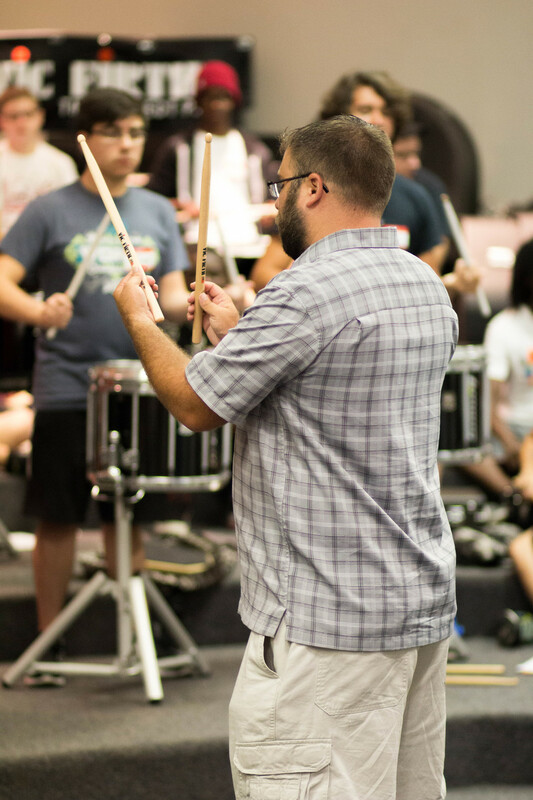 He has also taught and continues to teach many groups on the east coasting including; Orchard Park HS, Stoneman Douglas HS, Victor HS, The Cadets Drum Corps (2005-2007), Western HS (2007-2008), Eastridge HS (Director 2002-2005), East Syracuse Minoa HS (2002-2004), and Phoenix HS Color Guards. Jason’s drum corps experience includes being a performing member of the Boston Crusaders (2007) and Carolina Crown (2008-2009). After Aging out with Carolina Crown in 2009 with a silver medal, Jason taught with the Boston Crusaders Drum and Bugle Corps (2010-2012) and the Santa Clara Vanguard Drum and Bugle Corps (2013-present). Jason has also spent many years performing in several winter guard programs such as, The Knights World, Northeast Independent, and Braddock Independent World. Jason also performed in Taiwan last December with the Santa Clara Vanguard during their international tour. Jason is currently teaching at West Broward High School, while perusing a career in Diagnostic Medical Sonography and Broward College. Jason started with us last year for the inaugural year of STRYKE Winterguard and is excited to continue with us again this season. Alexander Perez has been involved in the Marching Arts for over 18 years. At age 16, he joined the Boston Crusaders drum and bugle corps as a member of the Contra line . He was also a member of Carolina Crown drum and bugle corps where he was part of the Color Guard, and later returned to Boston to age out of the Color Guard in 2004. After aging out , he then joined the creative and instructional teams of the Magic of Orlando drum and bugle corps, Santa Clara Vanguard, has spent the last 7 years with The Cadets and has currently rejoined the Santa Clara Vanguard drum and bugle corps. Alexander has had some amazing opportunities due to his involvement in the Marching Arts. He was a performing member for the Micro Magic Japan touring cast in 2001 and was the lead designer for the St. Joseph High School Marching Band from Kuching Malaysia , who was recently crowned the 2015 US Bands Yamaha Cup Grand Champion. Kristi first began her color guard career as a four-year member of the Cypress Bay color guard and was part of the 2011 team that placed 6th in scholastic A finals. She then went on to march with the Boston Crusaders Drum Corps (2010-2011) and the Braddock Independent World Guard (2012-2014) where she performed in the WGI world class finals in Dayton, Ohio all three years. Kristi decided to branch out to the west coast where she then marched with the Blue Devils Drum Corps (2013-2014). During her time with the Blue Devils she received a silver medal in 2013 and an undefeated gold medal in 2014 with the highest ever color guard Score in Drum Corps history, a perfect 20. Kristi became a member of The Blue Devils International where she toured Europe and performed in the Basel Tattoo, which is the second largest military tattoo in the world. With the Blue Devils she also traveled to Taiwan in 2015 where she performed at various venues with an elite performance ensemble. She has worked with Cypress Bay High School and is currently in her 5th year working with Park Vista High School. This will be her second year with STRYKE Winterguard. Kristi is currently in school for sonography and radiography and plans to travel with blue devils international this summer returning to Europe. This is Pauleen’s 10th year instructing young adults the foundations, techniques, and art of color guard. She started teaching her freshman year of high school at the young age of 14 at Eagle’s Landing Middle School and continued her passion to teach consecutively after. Pauleen has taught at schools in West Palm Beach such as, Spanish River High School, Lake Worth High School, Olympic Heights High School, John I. Leonard High School, and currently, Park Vista High School. To Pauleen, color guard is not just a hobby it is her life. Color guard has introduced her to amazing people, which have formed into amazing friendships. It taught her responsibility, self-confidence, and created unforgettable experiences that many have never had the opportunity to experience, and with that, she is beyond grateful. Laura Gasper began spinning her freshman year in high school and has been doing color guard ever since. She has performed with Carroll High School (winning WGI her freshman year, and placing third the year after), Crown Guard, and Pride of Cincinnati (winning WGI in ’05 and medaling ’03 and ’04), and marched Drum Corps for 6 years at Carolina Crown. She has taught programs all over including Carmel High School, Zydeco Color Guard, Santa Clara Vanguard, and multiple others. She received her B.F.A. from Herron School of Art and Design with an emphasis in ceramics and she is the co-owner of L. Mercado Studios in Downtown Hollywood where she teaches art classes and promotes the arts through the gallery and studio artists. Laura has been a member of the West Broward Color Guard Staff since 2013 and looks forward to continuing to push the students with emphasis on hard work, dedication, and critical thinking. 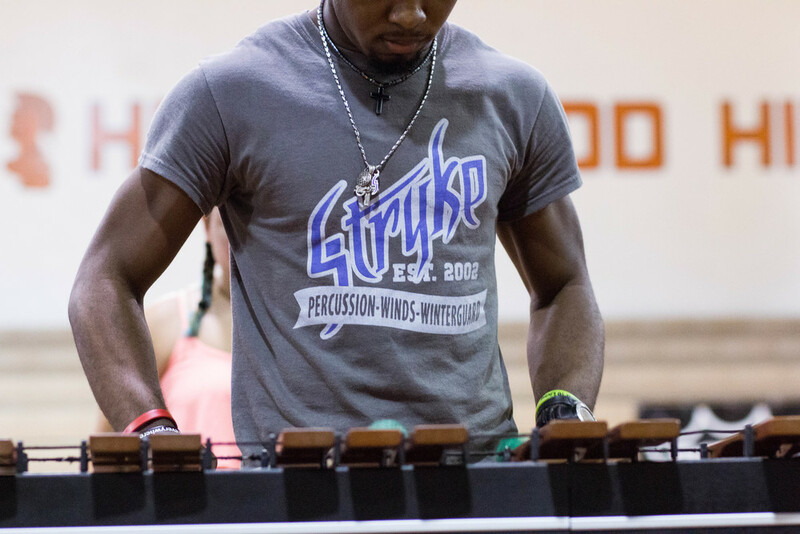 On July 16th, STRYKE had their annual Summer Clinic. 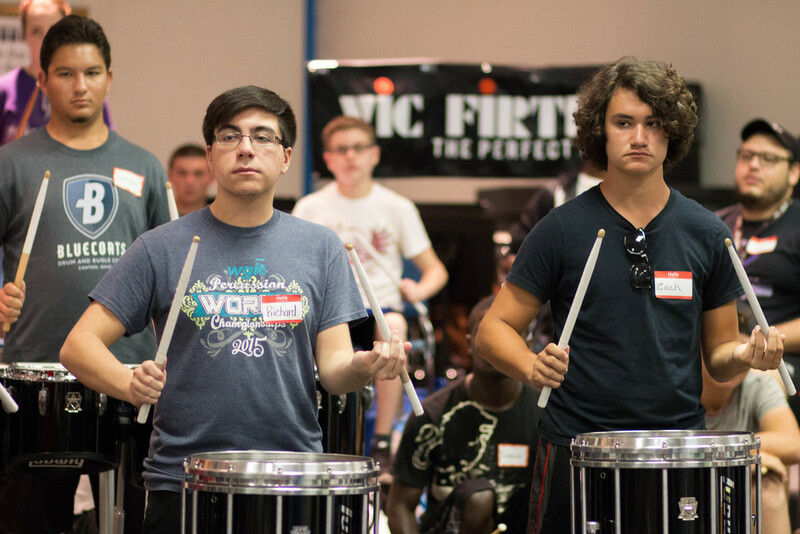 Over 150 students came to participate in their Percussion, Winds, and Wintergaurd Clinics taking place that day. It was an exciting event, and we want to thank all the students who participated. Take a look at our Summer Clinic album to see the day's activities! 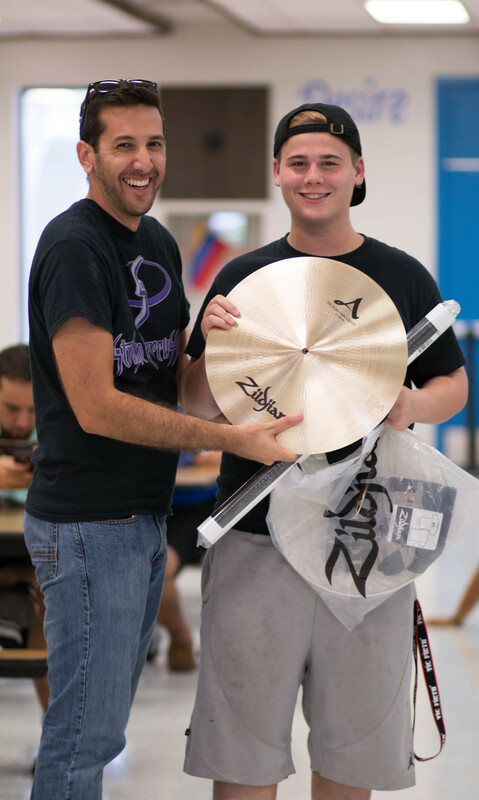 Grand prize winner took home a 16" Zildjian Cymbal! Colorguard started off 'Show and Tell' with their production they created that day! 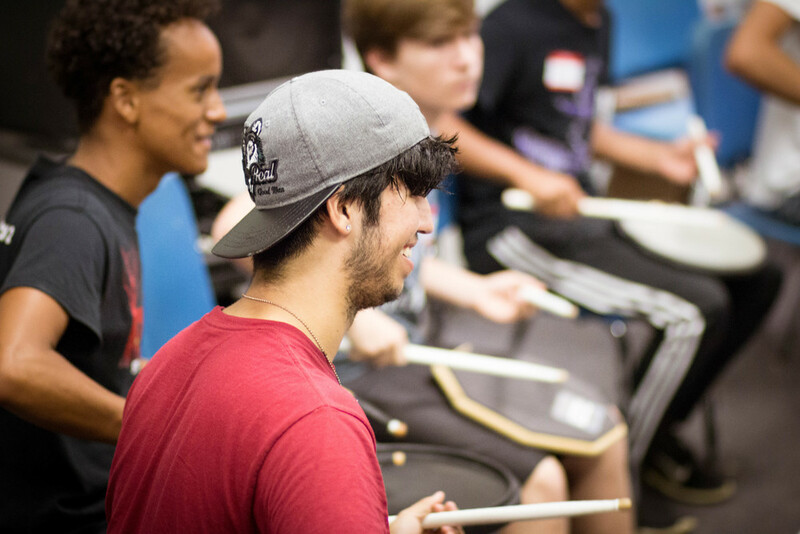 We would like to thank our sponsors, Zildjian, Vic Firth, and Remo who made this clinic special for all the students that participated. Stay tuned for our next event, the STRYKE17 Audition/Clinic, which will start on September 18th! On Sunday May 15th, STRYKE members and family arrived to a beautiful custom decorated banquet to celebrate the 2016 season. The room was filled with purple balloons, streamers, custom table clothes, and even our very own custom STRYKE podium. All of the decorations were graciously donated by the Origins Colorguard. The DJ set the mood and got the party started. Everyone was severed a home cooked meal provided by the Coletto family, as well as drinks and dessert provided by our awesome STRYKE Parents. As everyone settled into their tables, the awards presentation began. Each director of the four STRYKE ensembles presented their awards for the 2016 season. Here are the results of the awards. Each individual from each ensemble was presented with the very first ever STRYKE Charm. This is a new tradition that is only given to ensemble members. The 2016 STRYKE Ageouts were presented with a special custom made STRYKE charm, representing their time, sacrifice, and loyalty to the organization. Before the banquet came to a close, Will Hill surprised everyone when he took a moment to talk about a family member we lost, as well as what this organization meant to him. He presented us with his beautiful handwritten poem. their vision and dreams, begin to arrive complete. Their memories are laced with, a MUCH bigger SHOT! that makes them FEEL right. The GOOD in You, was developed here. The banquet concluded with a fantastic video produced by Kellie McDaniel, capturing the moments of the 2016 season. There was no better way to end the evening, showing all the joy and hard work the members put into making this an incredible season for the entire STRYKE organization. We would like to once again thank the Origins Colorguard and all of the STRYKE Parents that made this banquet a special experience for the members to have. We couldn't have done this without you, THANK YOU! Last week STRYKE traveled to Central Florida for the WGI Orlando Regional and Southeastern Championship. All four ensemble were present and ready for competition. SWG performed for the first time ever at the Southeastern Championship placing 8th in IA. STRYKE Wynds had a great performance earning them 1st place in the WIO division. SP2 made the crowd "howl" with their performance of Red, and came in 2nd in PIA. SPW added many new elements to their show Only One, including their Snap-Back Hats and new custom On2percussion slips. Each drum features a silhouette of crowd with #OnlyOne single individual highlighted in red. SPW placed in 2nd with a strong performance in finals. Click here to see the recap of the Colorguard, Wynds, and Percussion scores. Our final competition in Florida is the SFWGA Championship in Jupiter HS. Come show your support, as these four dedicated ensembles finish their season. As WGI Championships is fast approaching, we ask you to show your support to these hard working ensembles with a contribution to their "Road to Dayton". The cost of fuel, transportation, hotel, and member accommodations are extremely expensive and continue to grow each year. So we ask for your support with a donation/contribution towards these members to have the experience they deserve on the road to Dayton. Click here to donate now. "I walk this empty street, on the boulevard of broken dreams. Where the city sleeps and I'm the only one, and I walk alone"
The Winterguard's 2016 Production "The Lonely Road" takes you on a journey with the performers through their trials and tribulations of perusing their dreams of making it big. On #GivingTuesday STRYKE started an #UNselfie campaign to raise awareness and help collect donations. The result were incredible! The main purpose of the #UNselfie campaign was to encourage people to take a selfies with our custom made #UNselfie sign. 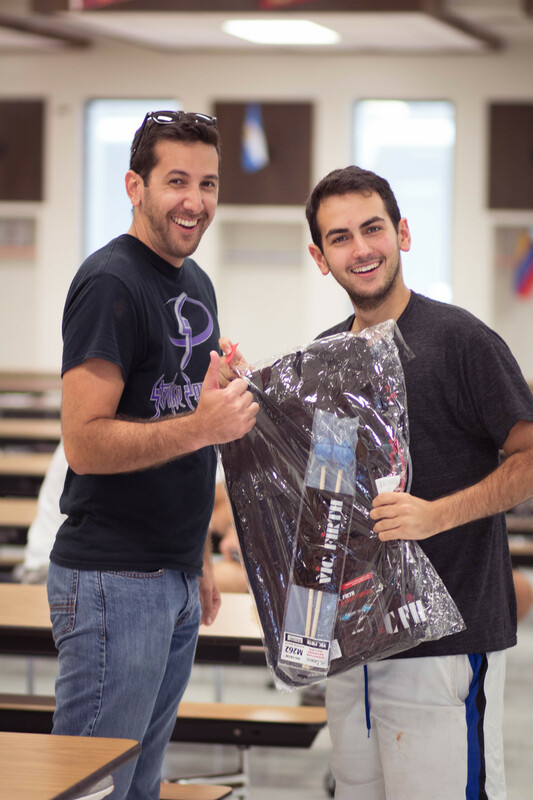 They would then share it on their own social media page, showing their support towards STRYKE, as well as growing awareness of STRYKE's impact in the South Florida Community. As a result, we had countless members, past and present, write their own personal testimonies about the effect that STRYKE has had on their own lives. The stories were heartfelt as well as eye opening to truly see the impact STRYKE has made. 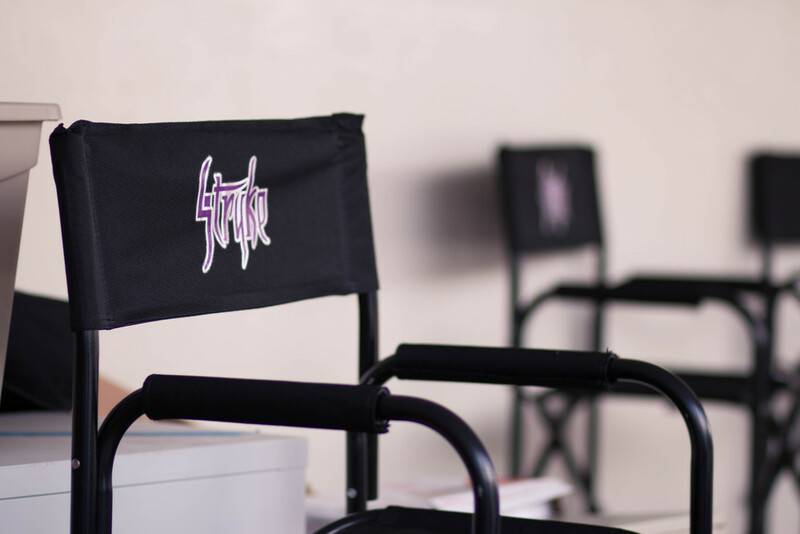 We here at STRYKE think that the testimonies given by our members are a true representation of of what STRYKE is. So we will be adding these testimonies on our website, under our Overview page for all to see. We hope that you enjoy reading them as much as we did. We would also like to thank all the supporters that donated to us on #GivingTuesday. We greatly appreciate your contribution, and can't thank you enough for your support. We have put those donation dollars to work and were recently able to purchase some much needed equipment for our groups. You too can support STRYKE continue it's growth and impact in the community! Find out how you can help here. No donation is too small and your support means the world to us. Here are some of the STRYKE #Unselfies that were posted on #GivingTuesday. Read their testimonies here. Support STRYKE with your #Unselfie! This Tuesday is #GivingTuesday, and STRYKE needs support. Show your support with your #Unselfie. An "Unselfie" is way to show your support for STRYKE on Giving Tuesday. Take a pic, and tag it #Unselfie, #GivingTuesday, and #GivingStryke. Then, upload it to FaceBook, Instagram, and Twitter from now until December 2nd. "I gave to STRYKE because __________________." "On #GivingTuesday I gave back to STRYKE." "Join me in supporting STRYKE on #GivingTuesday." Don't forget to use Hashtags #Unselfie, #GivingTuesday, and #GivingStryke. Every dollar counts, and your support means the world to us. Thank you! David Yunis with his STRYKE Unselfie Sign. Paul Sauberer is a veteran of the pageantry arts activity, and has been involved in the marching band and color guard scene for over 10 years. He has been an integral component in the success of many band programs by designing flags, costumes, props, winter guard and percussion floors. He's creativity has also been an intrical part in guard soundtracks, marching band visual design, & winter guard staging. Paul is currently on the color guard staff and design team of 2014 Class 5A State Champions, and BOA Super Regional Finalist Park Vista High School from Lake Worth, Florida. Paul has also designed and taught for programs such as Jupiter HS (Jupiter, FL), Castle HS (Newburgh, IN), East View HS (Apple Valley, MN), West Broward HS (Pembroke Pines, FL), and many other programs around the country. In addition, Paul is actively involved in the South Florida Winter Guard Association (SFWGA) circuit, serving on the classification committee and on the advisory board. Paul’s creative mind and his proficiency in capturing those special “moments” make him a vital part of any program. With his experience in flag, costume, and set design, he elevates the visual and emotional aspect of each show he is a part of. He makes it his goal to break down the wall between performing members and the audience. STRYKE and Paul are a perfect fit for this organization, and we can't wait to see him in action Co-Directing STRYKE Winterguard! Meet Paul this Sunday as we kickoff the first STRYKE Winterguard Audition! Meet STRYKE Winterguard Choreographer, Jason Alexander Ciesla! Jason Alexander Ciesla will be joining the STRYKE Winterguard Staff as a choreographer for the 2016 season. Jason is originally from Port Jefferson, NY, but grew up in Orlando, FL. He has performed with various groups over a span of 7 years, such as The Knights World (Orlando, FL), the Boston Crusaders Drum and Bugle Corps (Boston, MA), Northeast Independent World (St. Augustine, FL), Carolina Crown Drum and Bugle Corps (Fort Mill, SC), and Braddock Independent World (Miami, FL). Jason has also consulted, designed, and choreographed at schools and independent programs over the past 9 years. He has worked with Winter Park HS (Winter Park, FL), Lake Howell HS (Orlando, FL), West Broward HS (Pembroke Pines, FL), Park Vista HS (Lake Worth, FL), LUX Independent (St Paul, MN), Braddock Independent, the Boston Crusaders Drum and Bugle Corps and the Santa Clara Vanguard Drum and Bugle Corps (Santa Clara, CA). Jason has a strong passion for the marching arts and brings to the table years of experience, skill, and expertise. He is very excited to be working with STRYKE Winterguard this season! Meet Jason at the STRYKE Winterguard Clinic/Audition on October 11th! Introducing the STRYKE Winterguard Staff! We are beyond excited for the inaugural season of STRYKE Winterguard. It has always been an dream of ours to have our own independent winterguard, and now that we are being given this opportunity we can't wait to see what we can accomplish. With a gifted and accomplished staff, and some of the best talent in the country down in South Florida, this is shaping up to be something special! Please stay tuned for more information coming soon regarding dates for auditions!